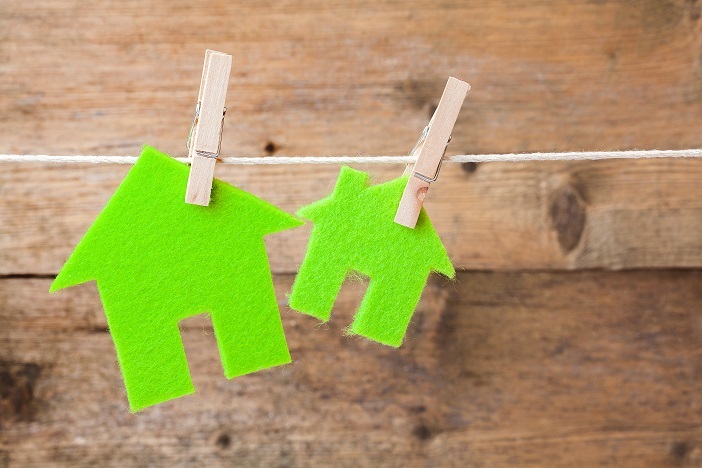 Building green is a hot topic among building professionals and consumers – for good reason. Not only is building and living “green” good for your health, it conserves energy and protects the environment. Since we spend much of our time indoors, it is critical that our indoor environment is healthy and safe. Today, many building products contain man-made chemicals and emit high levels of VOCs (volatile organic compounds). Because of this, health experts are becoming increasingly alarmed that these man-made chemicals are showing up in our blood and lungs, and can cause several health-related problems. Logs are 100% natural and do not emit VOCs or other pollutants. Soil, water, and air combined with the sun’s energy is everything needed to make a tree grow. From an ecological point of view, solid wood is the only building product that is renewable, biodegradable, recyclable, energy efficient, and extremely beautiful. Canada Wood produced a report about the sustainability of residential buildings. 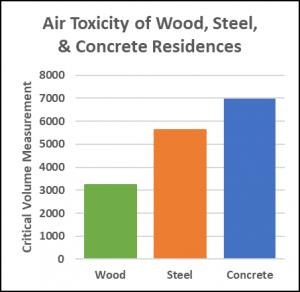 The report concludes that the air toxicity of wood buildings is considerably less when compared with steel or concrete buildings. (Canada Wood) Air toxicity is defined as the amount of hazardous pollutants found in the air. Because energy costs are on the rise with no end in sight, it makes good economic sense to design and build with conservation in mind. There is a great deal of documented evidence supporting the energy efficiency related to the construction of log homes. Agencies, such as the the National Institute of Standards and Technology (NIST) and other testing organizations, have compared log homes to other types of construction. 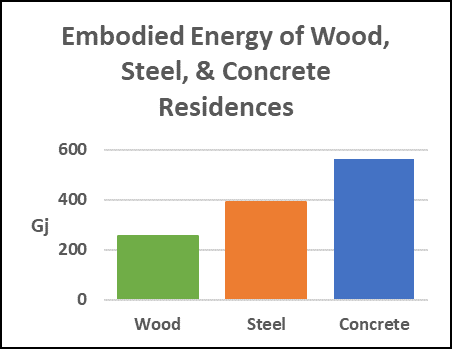 Test results prove the energy efficiency gained through the thermal mass of solid wood walls. “According to studies by the University of Maine at Orono, the logs absorb heat energy during the day and radiate it at night to even out the temperature, which makes the occupants feel more comfortable while using less energy.” (Today’s Log Homes Go Green with Sustainable Building Practices and the Best Elements of Old and Modern Energy Efficiency). In addition, advances in forestry practices have steadily increased the supply and growth of plantation and private forests. The growth of new forests in North America has outpaced the demand and can remain at a sustainable rate. In the long run, sustainable building products that are ecologically friendly are the only viable answer to a cleaner environment. Log homes are the original green building solution made directly from the earth’s natural resources. This abundant, beautiful, and renewable natural resource is 100% green.